Ottawa Counselling and Mediation Services is not your average therapy practice. Since our inception in 1979, our licensed counsellors and mediators have provided supportive, high-quality professional mental health and life coaching services to thousands of adults, adolescents, couples, and families in the National Capital Region. We believe that counselling isn’t just for those who are in pain, but that anyone can benefit from an ongoing counselling, hypnotherapy, mediation, or life coaching process at any stage in their life. When clients reach out to us for professional counselling, our priority is to provide them with skills and tools to empower them in their journey towards the life they envision for themselves. Seeking the help of a professional counsellor, therapist or life coach isn’t a sign of weakness, it’s a display of your commitment to your own long-term happiness and fulfillment. Many already content and highly-achieved people continue to see a counsellor or coach as a way to experience continued clarity and personal and professional growth. From your first visit at our office, we’ll be committed to the task of supporting you on your own journey to developing a new sense of self, hope, direction and purpose. Our goal is that you’ll leave each session with a better outlook on life than when you arrived. Based on the extensive knowledge and experience of our committed counsellors and mediators, we provide an atmosphere of trust and safety for each one of our clients. It is our goal to create an environment that enables them to freely and openly address their concerns without the fear of judgement. From Av. Gatineau to Boul. 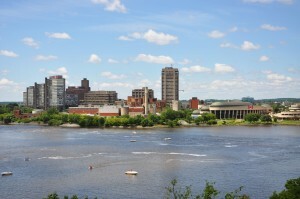 Maloney to Rue Laprade to Rue Wells, we serve the entire Gatineau area. It is always the right time to make a change. Reach out to us today to schedule a time for the things that matter to you!